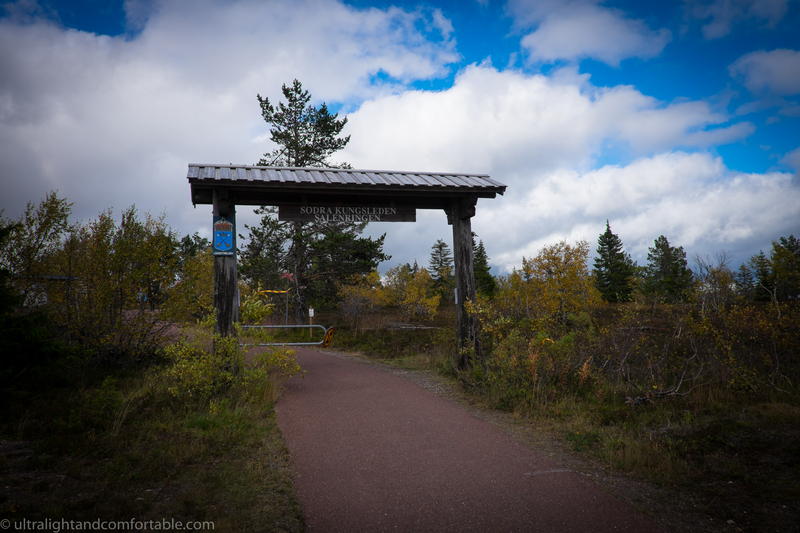 I am currently working on the trip report and photo gallery for my 5 day 100kilometer walk along Swedens southern kingstrail. In the meantime I want to do a quick rundown of what equipment worked and what didn’t. 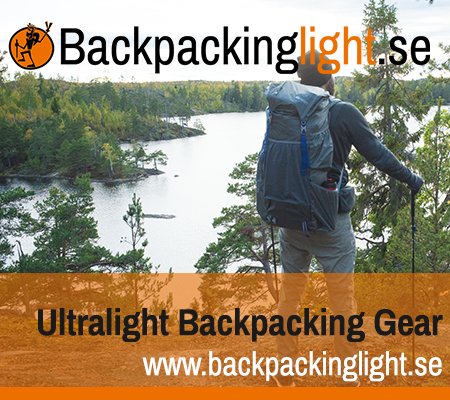 Zpacks Arc-Blast backpack: I love this backpack, still one of my favourite pieces of gear. I have however had one constant problem with it. The frame pops out of place occasionally while I am hiking and this causes some serious discomfort and even pain in my shoulders until I realise it’s popped out. I have sent a message to Zpacks so I will post there answer once I get it. Probably user error, and if so I would like to know how to avoid this. The problem got so bad after the second day that I couldn’t lift a cup of coffee on the third day. You can see here where the right frame popped out. Viewranger GPS: I have been using Viewranger app on my Iphone for the last year and feel it’s one of the best Ios GPS trackers and map services available. Didn’t fail me at all and the maps are superb. Enlightened Equipment Revelation pro quilt: As always, this quilt kept me warm and cozy throughout my entire trip. On the first night the temp got down to -3 celcius and I didn’t even notice it. This bag is a truly warm quilt that I even use in the winter. It is rated to -10C, and I think that is a fairly good rating for this bag. 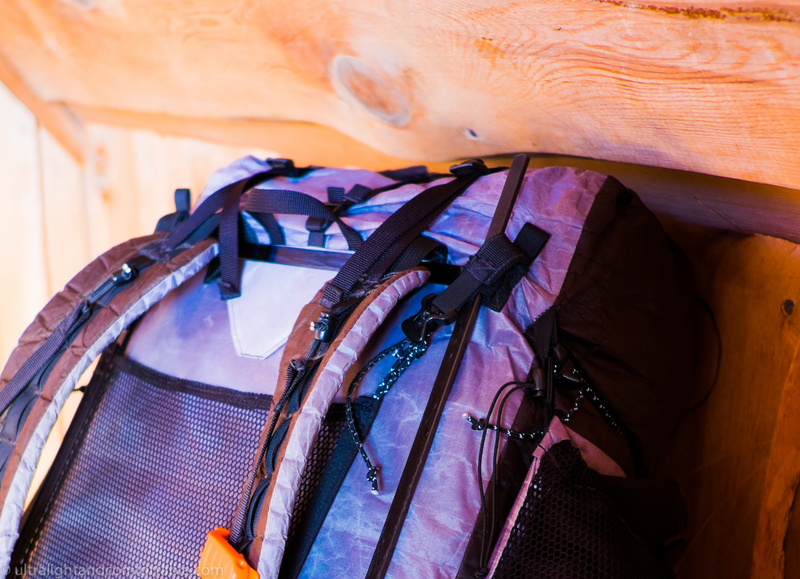 It is however very light down filling which means that nothing should be placed on top of this bag if you want it to perform to it’s maximum capacity. The down is easily compressed even with a light too tight bivy on top it will lose its insulating properties. 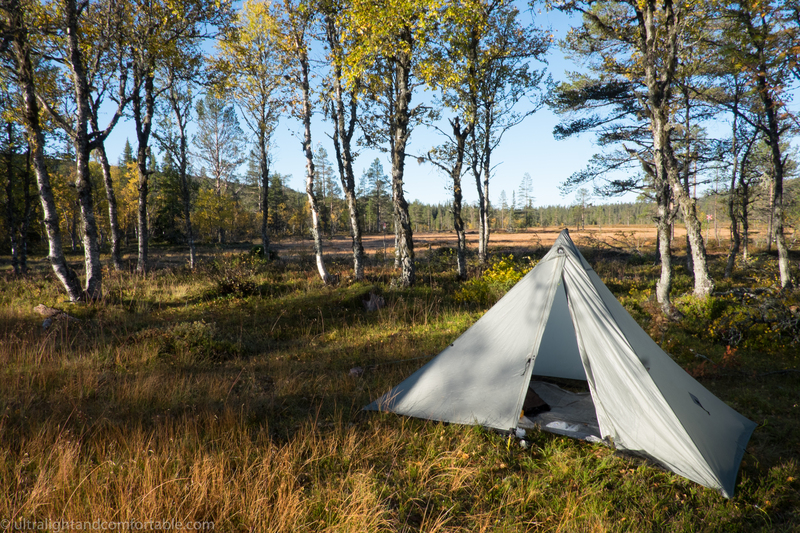 MLD Duomid: I actually only used this one night as the weather was so nice that I opted to sleep directly under the stars on all but the last night in which I stayed in a cottage. You can however read my full review of this excellent tent here. Haglöfs Windpull: This is such an amazing wind shirt. Worked perfectly and did exactly what it was supposed to do – that is block wind. It was my only midlayer for this trip and it was all I needed. For the entire trip I only took this off once while hiking. Haglöfs Lim Shoes: These shoes took a beating. After the second day I was actually willing to throw in the towel as I was walking through knee deep marshes for kilometers at a time, the water was freezing cold and when I wasn’t walking in heavy marshes I was walking on jagged rocks. In any case considering the circumstances I thought these shoes performed great. My feet got wet and cold at times but dried out within minutes of walking on dry land and after five days the soles of my feet were aching from the jagged rocks. However, I don’t think any other footware would have performed better in these conditions. Besides my Zpacks arc-blast I can’t say I had any gear failures or gear that didn’t work. At this point in my life I am pretty good at planning and often bringing with me exactly what I need. I had no new gear to test on this trip so everything was well tested before bringing along with me. The problem with the frame popping out is not totally uncommon for the Arc Blast. I think this is fixed on the newer versions (Never happened on mine). Joe allways tries to help so I hope you can find som kind of sollution! Yes, I’ve read a little about it but haven’t found any solution for it. In anycase I am still waiting for an answer from joe so I will keep this updated until then!